What: Join Reporter Josh Farley Friday, Oct. 9 at 6:30 p.m. for interviews with Music Director Alan Futterman and the musicians who keep this proud tradition going, and then hear the symphony on the eve of the first show of the season. Where: Bremerton Performing Arts Center, 1500 13th Street, Bremerton. 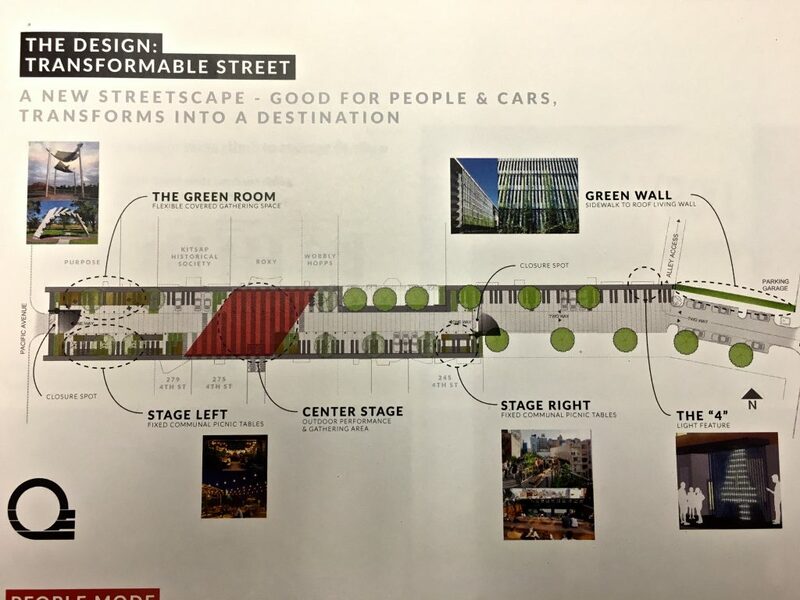 Parking is available at 13th and Lincoln Street, enter the lot from Lincoln. Cost: Free for the whole family. After a flood had damaged Mary-Cathern Edwards’ Manchester home, an insurance agent came out and … checked out her cello. 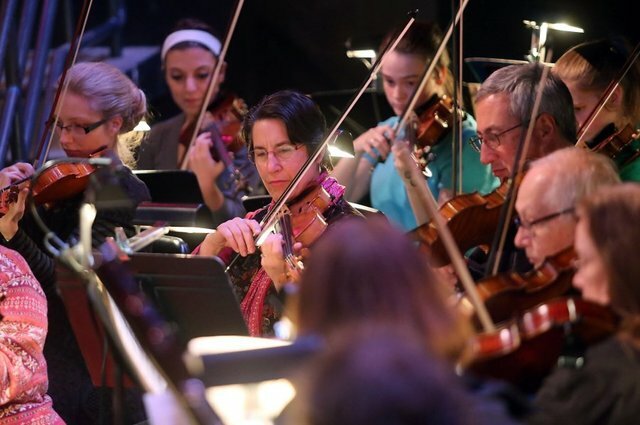 The agent happened to be president of the Bremerton Symphony board, and they needed a cellist. Edwards accepted the challenge. 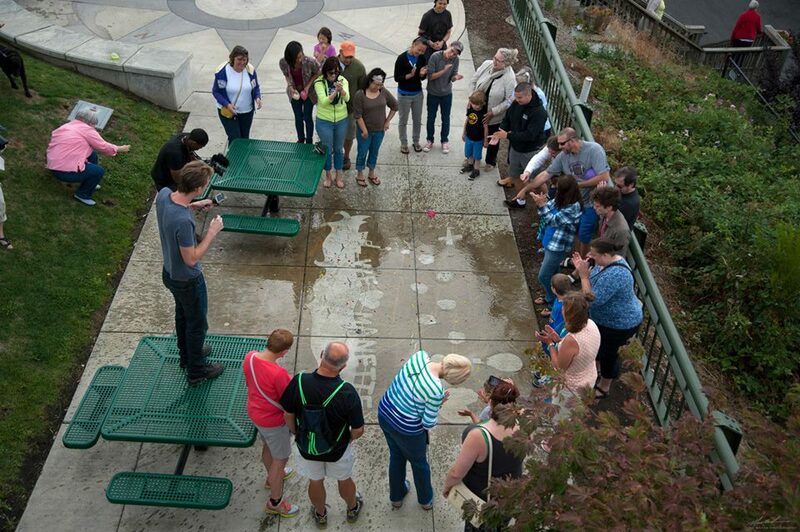 On Friday night, 6:30 p.m., the venerable Bremerton Symphony, on the eve of its season opener, will throw open the doors for the Kitsap Sun’s latest story walk. 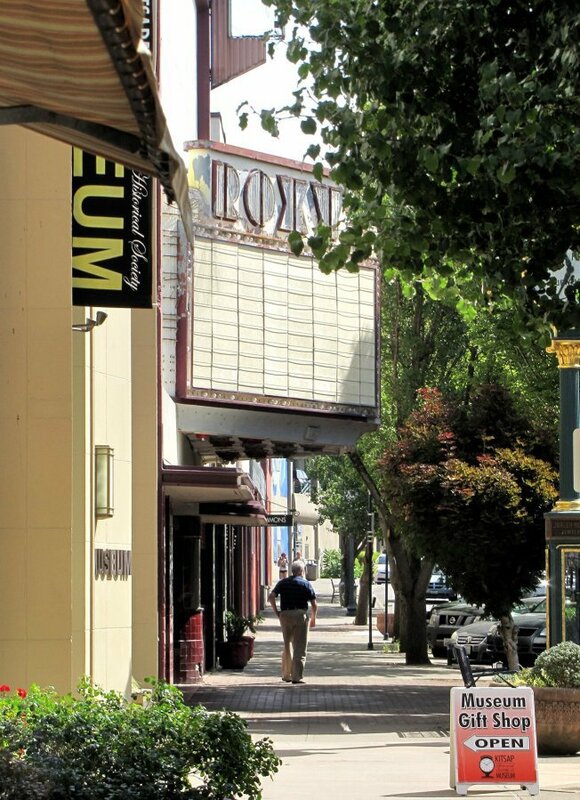 Some 60 musicians will be doing their seventh and final rehearsal of “Dvořák the Romantic,” at the Bremerton Performing Arts Center. We’ll hear Friday from Conductor Alan Futterman and several musicians before they begin the rehearsal. 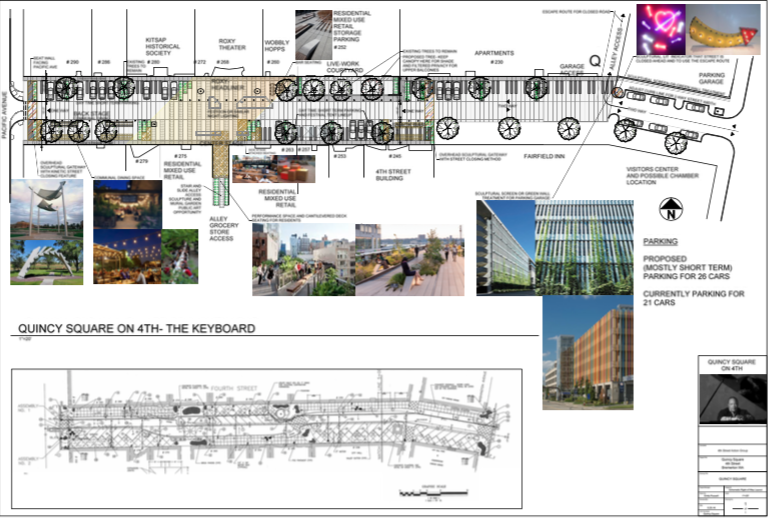 I’m especially curious about what it takes, mechanically, to bring all the moving parts of a symphony together. The result is beautiful music — and you’ll be able to watch the entire performance. I think this is a real treat, and I hope you’ll join us. “To be able to join together and as a unit perform these great works — you can’t describe the joy it brings,” added Ferman. To RSVP, click here, or just show up. The museum’s closed but the sign was repurposed. 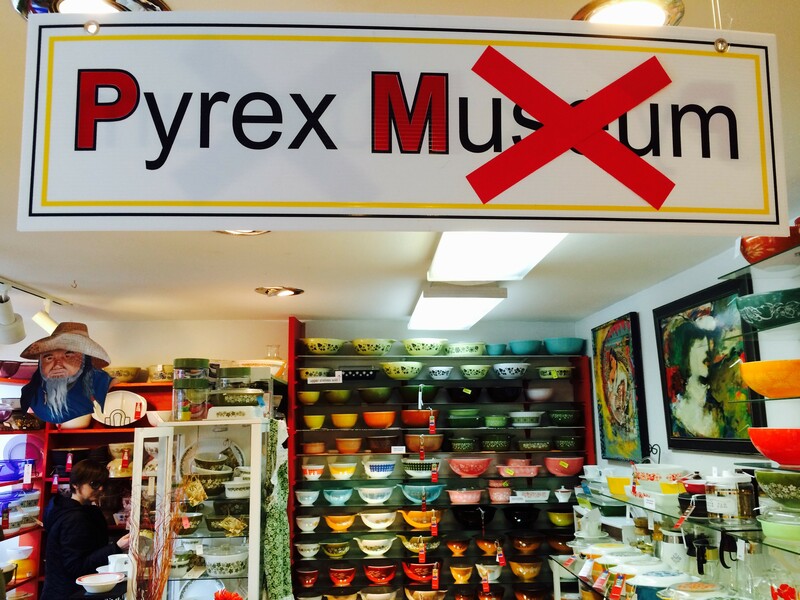 Katrina Demmery may live in Florida, but that doesn’t mean she was going to miss out on the first day of sales at Amy Burnett’s new Pyrex-inspired store. 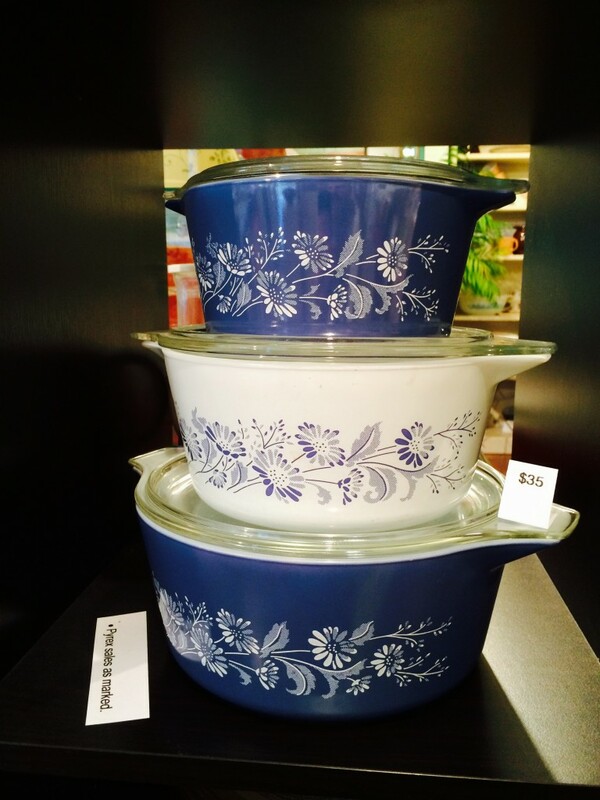 Demmery, once stationed here in the U.S. Navy, sent a friend to the shop today to buy her up some of Burnett’s Amish Butterprint Pyrex models. I talked to her on her friend’s cell phone. Burnett’s store, which once boasted one of the world’s only — if not the only — museum devoted to the kitchenware, closed in December. She’s revamped the place into a store selling midcentury kitchen items, along with her art. On Thursday, the first day her new store opened, the place was pretty well full right at 11 a.m. But this was no liquidation, Burnett insisted. Burnett’s open on Fourth Street, near Pacific Avenue, from 11 a.m. to 5 p.m. on Friday and Saturday, if you’re looking to buy. Prices of most models are in the $20s and $30s. Here comes Friday night. I’ve already mentioned many of the big festivities downtown tonight, as well as the appearance of chef-restauranteur Renee Erickson. But there’s much more going on, and here’s a running list to help you out. Did I forget something? Please let me know. Fingers Duke Design Studio presents the artwork of Sean Dietrich (pictured), 523 Fourth Street. Bottom line: the ‘Industricide’ artist is ridiculously talented. Time: 6-9 p.m.
FROG Soap‘s grand opening and ribbon cutting, 530 Fifth Street. (Here’s a story the Kitsap Sun wrote about this environmentally conscious business.) Time: 4 p.m.
Admiral Theater Presents Livewire Theater, 515 Pacific Avenue. Tickets are $18 to $55 and a family pack is $40. Dinner’s 5:30 p.m. and show’s at 7 p.m.
Ish Vintage Clothing & Costume‘s Sixth Annual Art & Craft Show Local, handmade goods paired with live music and window models. 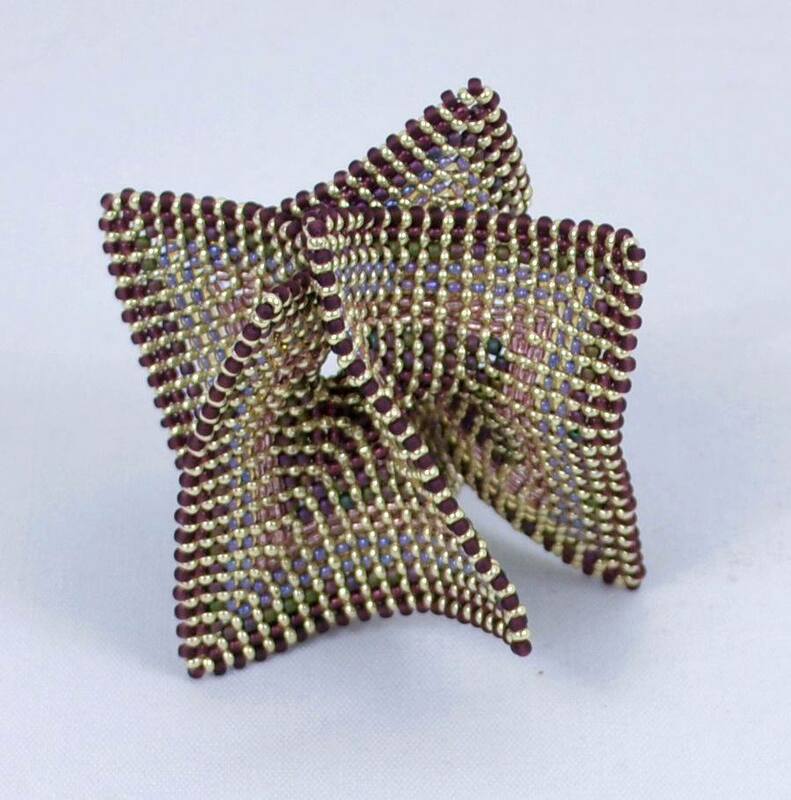 Time: 5-8 p.m.
Mistarian Roses‘ Second Annual Student Art Show, 519 Fourth Street: first exhibitions by Stephen Voyles, Chloe O’Laughlin and Maggie Babb, students from Olympic College and NCAD. Live music to go with. Time: 5-8 p.m.
Isella Salon & Spa‘s Eighth Anniversary, 530 Fourth Street: Gift and service specials, live music, sample spa services and giveaways. Time: 5-8 p.m.
Viva Flow Yoga‘s Christmas Party, 515 Fourth Street: Complete with free Henna for guests. Time: 5-8 p.m.
Bremerton City Nursery’s Holiday Social, 912 Adele Avenue: Enjoy hors devours, Harvey’s Hot buttered rum and assorted desserts at the annual event. There’s also going to be a drawing for a $50 gift certificate. Time: 5-8 p.m. Corner Coffee & Cafe’s Open Mic Night, 435 Pacific Avenue, plus the music of The Folkers. Time: 5-8 p.m.
Tami Sioux’s Open House, 658 Pleasant Avenue. Gathering at her home and studio. Time: 4-8 p.m. The Kitsap Community Food Co-op at Toro Lounge, 315 Pacific Avenue: The co-op is hosting an art show this month, to include a piece it inspired. Time: 5-8 p.m.
Twenty years ago, a group of local artists, who’d long met in the living rooms and public libraries of the county to discuss their craft, made a bold decision. 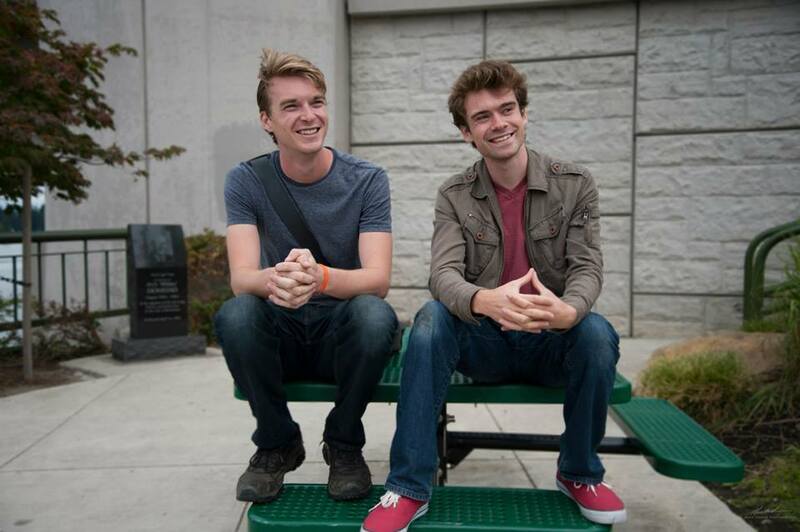 They formed a co-op art gallery that has become a staple of downtown Bremerton. 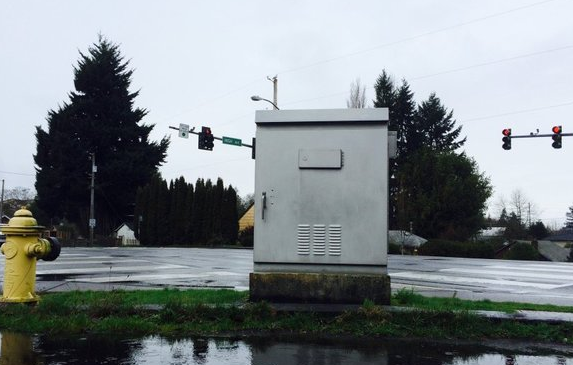 Collective Visions, at the corner of Fourth Street and Pacific Avenue, survived what was arguably the downtown’s worst years in the mid-90s and has cultivated an arts community that has continued to churn out works of the best artists in Bremerton and around West Sound. On Friday, the gallery will open its doors for the event that many would argue it started as one of the first in the state: the art walk. It is one of many ways — and perhaps the most prominent way — that the gallery has helped its surrounding community. “We see ourselves as community builders,” Newberg said. The gallery actually began as the Washington Avenue Art Gallery, on that street, a few blocks away, in 1994. But just two years later, the co-op moved into its current location after McBrides Hallmark packed up and left downtown. They couldn’t beat the initial $500 a month in rent there, Newberg recalled. There was a lot to do to convert the building, constructed to be a bank, into an art gallery. The orange shag carpet had to go. And the 20-plus artists within the co-op weren’t told initially that there was even a downstairs to the building. It had been covered up, so the artists peeled back a makeshift floor to find a beautiful staircase. “It was a dark dungeon down there,” remembered Barbara Mills, another original artist in the gallery. The gallery now includes some 3,400 square feet of space to showcase all its members, one of the bigger art galleries in the state. The room allows the cooperative to feature prominently one of its artists every month. (This month’s exhibit comes from Michelle Van Berkom (pictured), whose watercolor paintings take the viewer on a tour of some of North Mason’s most pastoral settings). They all pay dues to keep the gallery going but that allows for lower commissions on art sold there. The gallery has played host to more than just art on its walls, though. 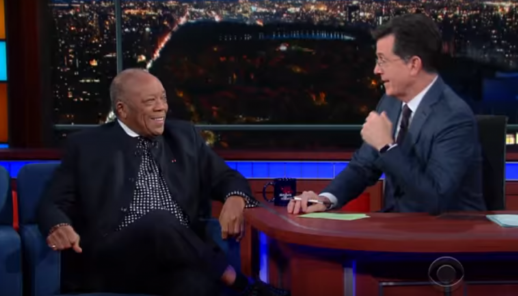 They’ve had more than 100 concerts. Bremerton Mayoral Candidate Louis Mentor held his campaign kickoff there. They also started “Ars Poetica,” a show in which area poets would submit a poem to be paired with an artist, who would illustrate it. But it all comes back to the art that has kept it going. The gallery has roughly as many artists now as it did when it started. Ages range from early-20s to mid-90s. They’ve seen many businesses and even art galleries come and go downtown. But they’ve maintained. 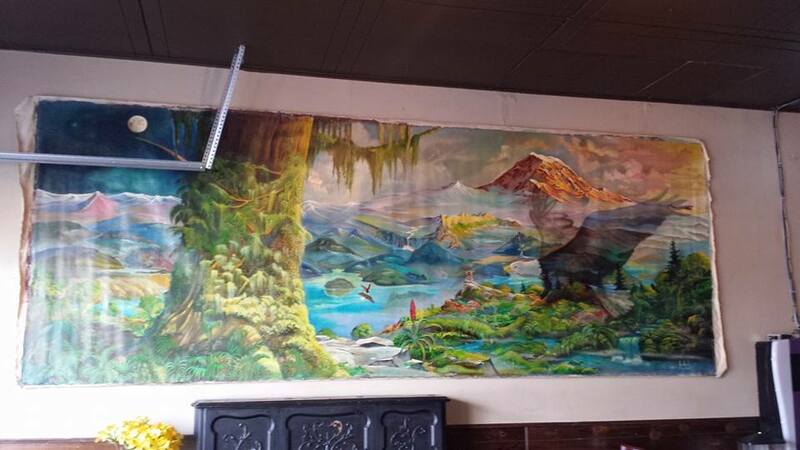 If you’ve been in the Manette Saloon on East 11th lately, you know that one of its walls has recently been adorned with a fantastical mural, complete with soaring bald eagle, moss-covered tree and a Rainier-esque mountain. But those who’ve lived in the area awhile know the artifact is not new to the bar. Rebecca Dove Taylor, the saloon’s owner, said the mural has come home, having been gone for more than a decade. Painted inside the bar sometime in the early ’90s, a former business partner took it with him when he left saloon management. How it was painted — and who created it — is a great story in and of itself. His name is Jason Najarak, an artist and art conservator who once came to Bremerton to visit his brother. Najarak, who has become renown for his “primal realism” style, is based in Minnesota. I tracked him down for a phone call a few weeks back. A frequenter of the bar while here, Najarak, who tells stories of meeting Picasso on his web site, asked to paint the ambitious mural and created it right in the bar itself. He used oil and egg tempura paint, a tradition that dates back to the middle ages, and took a few months to put it all together. He didn’t have a plan at first. In fact, that’s part of his signature style — he likes to work the canvas with some basic ideas, then go from there once he sees what he’s got. 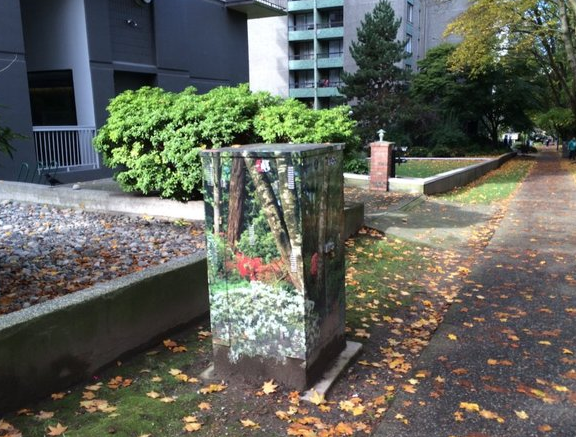 Often, he’ll paint over things he’s worked on for hours, even days, if he’s not feeling it. “I like to paint my way out,” he said. The best way to see this method is to watch him construct a similar mural over several weeks, thanks to the beauty of time-lapse photography. Najarak said he’d love to return to Bremerton sometime, and get another look at the mural he created more than twenty years ago. 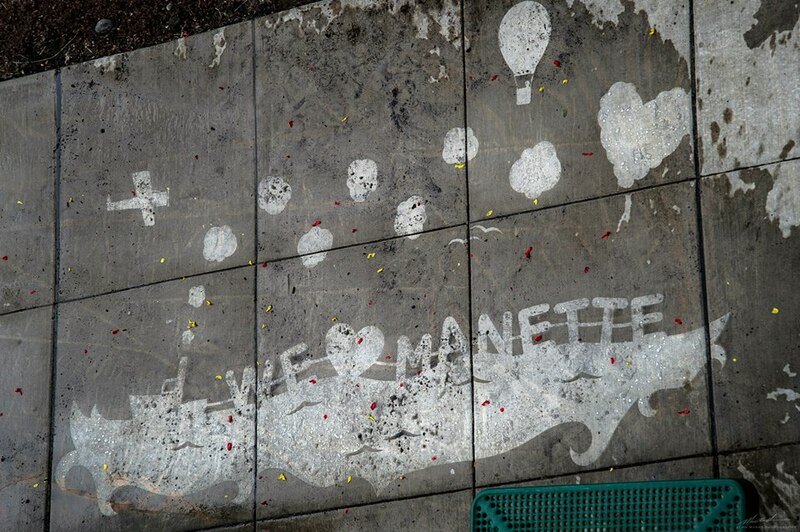 The old management partner that took the mural recently brought it back, Manette owner Dove Taylor told me. She said the mural is now there to stay. 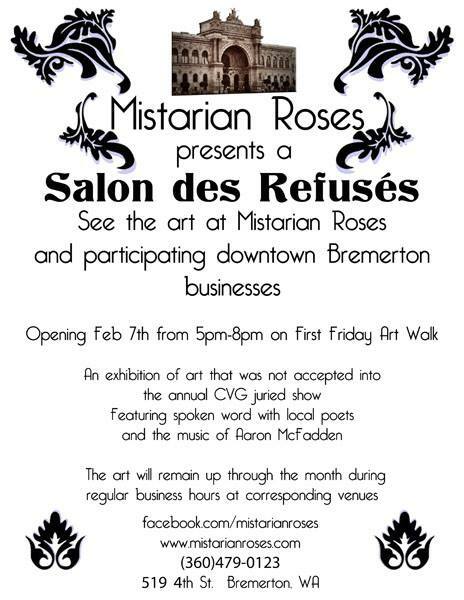 Friday night’s art walk is the debut of the “Salon des Refuses” art show in Bremerton, featuring pieces across downtown. The basic premise of the show is that the dozens of pieces in it weren’t accepted at a recent downtown art show, so the new displays, put on by Fourth Street glass experts Mistarian Roses, give them another chance for the spotlight. “The show will feature some of the fantastic art that was not accepted into the 2014 Annual Art Show by Collective Visions Gallery,” said Mistarian Roses co-owner Julie Mistaria. The “Salon des Refuses” tradition dates back to 1863 Paris. Rather than just one location, the show will take place around town — at Mistarian Roses, Ish Vintage Clothing & Costume, the Bremerton Chamber of Commerce, the Kitsap Regional Library’s Fifth Street branch, Game Wizard and Blue Sky Hobbies, RockIt Roost and Timothy Stimac Salon & Spa. Pictured above is a piece by Susan Blackburn called “Serenity and Obsession 3, to be displayed at Timothy Stimac Salon & Spa on Fourth Street. Art walk begins at 5 p.m. downtown and in Manette.